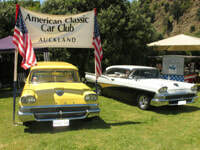 The American Classic Car Club Auckland is dedicated to cruising, socialising, family fun, and enjoying the character and preservation of American classic cars, especially those from the 50’s, 60’s and 70’s. We embrace those American classic car owners who may have differing standards of vehicles from work in progress to show stoppers, understanding that everyone has to start somewhere, but that all need to be driven to be truly appreciated. We have been established as a club since 1996, and endeavour to provide a laid back, relaxed, and social atmosphere on all our club activities. The ACCCA is a club founded on minimal administration and red tape. We have a President and a committee elected each year, and it is this hard working team who organise cruises, club outings and get togethers for the benefit of all members. We do not have rigid club rules that must be obeyed, or regular monthly meetings that have to be attended, so that members can choose which activity they wish to be involved in. 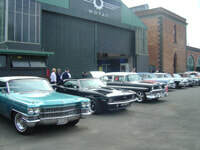 The only hard and fast condition is that prospective members must own an American classic car that is over 25 years old at the time of joining, which must be of historical interest. Each month we schedule club events which may include car shows, cruises to a local or rural cafe, a breakfast at a local restaurant, or something else entertaining and interesting. 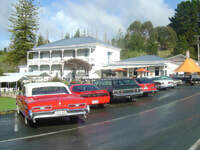 During the summer cruising season we often combine our club activities with other American car events, such as the Kumeu Classic and Hot Rod Festival or the Beach Hop. We also have an annual Christmas picnic which is great fun for members and their families, and a mid-winter Christmas dinner & Quiz evening. 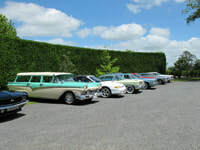 We are a very active group with many opportunities throughout the year for members to gather socially and to enjoy their cars. Check out the events calendar for upcoming events. The club’s newsletter, the “Cruisepaper”, is published quarterly to inform members of coming events, of what has occurred in the recent past, and news of our members to encourage and promote friendship with each other. Back copies are on the site, and can be viewed by clicking on the Cruisepaper thumbnail. We also keep in touch with members with regular updates on events, functions and important information by email. If you are interested in joining our club please fill out the Application for Membership form with as much of the detail as you are able. If you have family members who may participate in the club activities it is useful to also have their names, for Christmas functions and the like. Please provide as much information as you can about your car (cars) and certainly photos would be welcome, and email or post the completed and signed form as indicated. If you have any queries, we will be happy to answer them as soon as possible, so just email us via the contact form. Click on the membership form on the left to download, then print off your own copy.